Taking the City Mini to the next level. Suitable from birth to approximately 3 years, the City Mini GT gives you the ability to pave your own way. All-terrain wheels let you decide how far you want to go off the beaten path. And with little touches like an adjustable handlebar to adapt to the parents height and a hand-operated parking brake, the City Mini GT is very accommodating. The seat reclines to a near flat position with vents and a retractable weather cover to make sure that your child is comfortable and safe as they watch the world go by or kick back and relax. 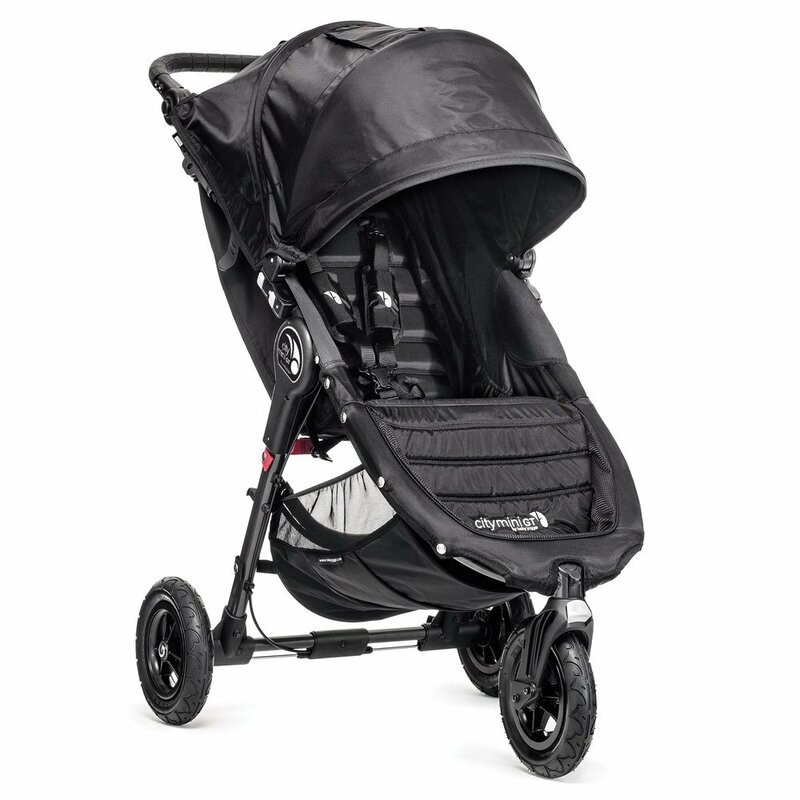 The SPF 50+ hood canopy has two peek-a-boo windows so you can keep an eye on your precious cargo. The City Mini GT can become a travel system in a heartbeat. Just choose the car seat adapter that matches your car seat, snap it in and your travel system is ready to go. You can also add a carrycot to handle even the littlest of passengers (car seat adapter and carrycots sold separately). The City Mini GT is not intended for jogging.